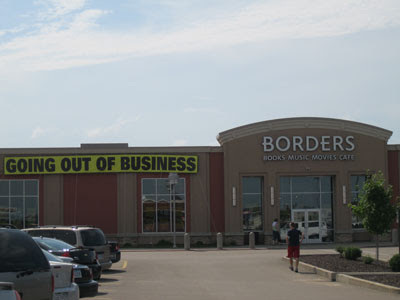 I don't know about you, but we're rather sad about the demise of the Borders chain. The closing of our local Borders means one less place where we can go and browse for books as a family. 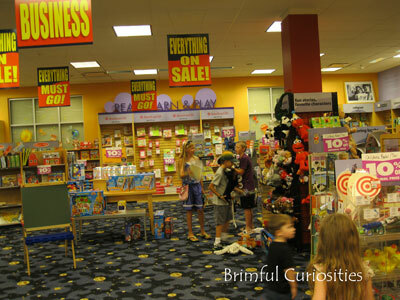 We loved the atmosphere and, as a holder of a Borders membership card, I'm going to miss their spectacular deals. Sure, big-box book retailers have their faults but the closing of the Borders stores is a real loss for readers. Ours closed a couple months ago. It really is sad, isn't it? It is sad. We have an independent bookstore near us that I LOVE and I am always worried that it will close. It is so sad. I loved going to Borders when I wanted a book and always getting a starbucks while I was there.